While I was at NAMM I was given a Nobels ODR-1 overdrive pedal to try out. I have never personally used one, but I wanted to give it whirl because I have recorded guitarists before that use and love this pedal. My friend Tim Pierce has one that he loves to use. This pedal sounds fantastic just about everywhere you set it. I set the “drive” low and pushed my amp with the “level” control and it got a great medium overdrive tone. Setting the “drive” higher and the “level” lower allowed me to get a very nice saturated sound. The “spectrum” control lets you dial in the perfect EQ and shape your tone just the way you like it. 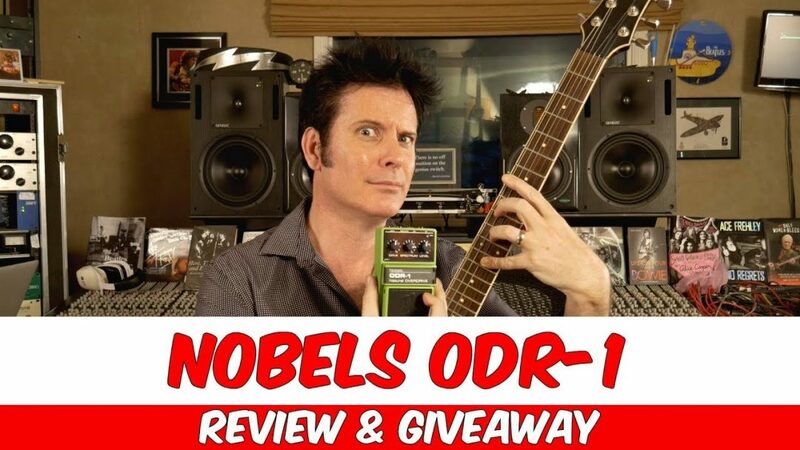 If you’re looking for an overdrive pedal that will give you lots of tonal options and add an extra layer of versatility to your guitar recording, look no further than the Nobels ODR-1.